June 2016 – Interested in Learning How to Find, Select and Eventually Live On Board Your Own Sailboat? You're in the Right Place…. 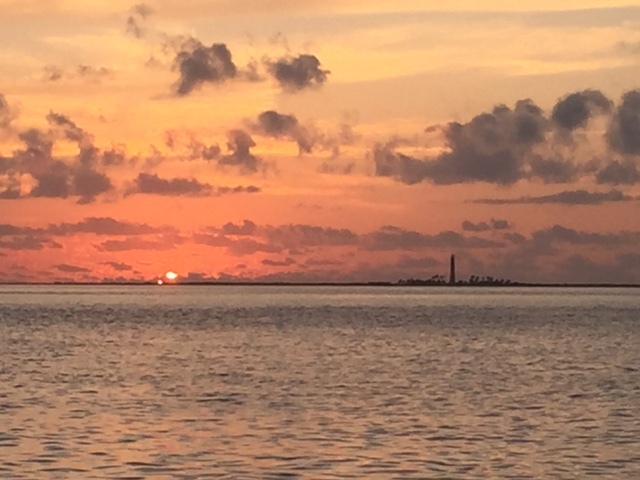 So, we spent about six weeks traveling from Tavernier, FL to the Dry Tortugas with a stopover in Key West. Along the way we made stops in Islamorada, Long Key, Horseshoe Key, Indian Key State Park, Marathon, Looe Key Reef, Key West and Marquesa Key. Listing all of those here, I feel like there should be an entry for all of those stopovers as well….so stay tuned!! The United States aquired Florida and the Keys from Spain in 1821. The fort had a bakery and a chapel. The fort served as a prison. Over 16,000,000 bricks were used in the construction. The invention of the rifled cannon and armored ships made the fort obsolete since it’s brick walls could be easily penetrated from greater distances. This turned out to be an odd vintage type shot without intending to be one. 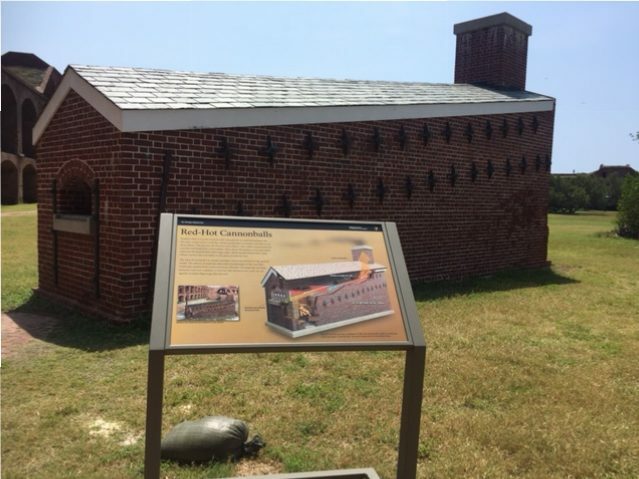 From the National Park Service website about the Fort…. 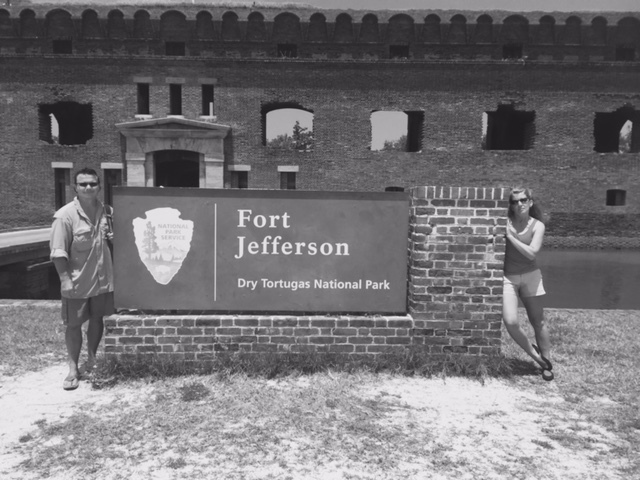 “The fort’s remote location, the extreme summer heat, disease and hurricanes all hindered construction. Materials for construction of the fort came from as far away as Maine (bricks), and as close as Pensacola, Florida. The only local materials were sea water, sand, and coral. Coral for the concrete was mined from nearby Bush Key by slave labor. Typically, local slaves from Key West composed 20% of the workforce while most hired labor came from the north in the form of Irish im- migrants. This civilian workforce was overseen by o cers from the Army Corps of Engineers. read the full information here…..
Samuel Mudd was the Doctor who set the broken leg of John Wilkes Booth…..and the origin of the phrase ….”your name is Mudd”. 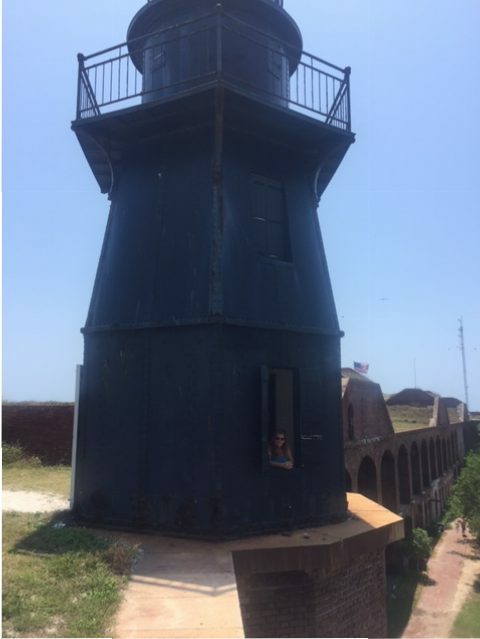 He serve three years at Fort Jefferson. They discovered something interesting as they tried to build up some of the walls of the fort. The weight of the bricks couldn’t be supported by some of the underlying sand and seabed…..so, they left the outer moat wall much lower than intended ….according to one of the park rangers anyway….. 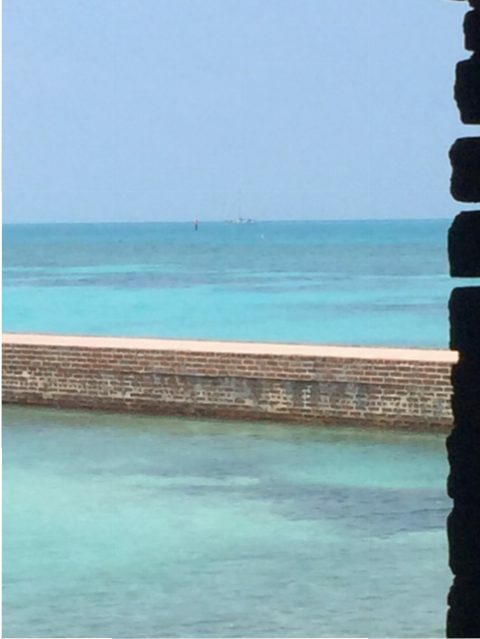 This is the view from Kitty Hawk, of the lighthouse on Loggerhead Key which is west of Fort Jefferson. 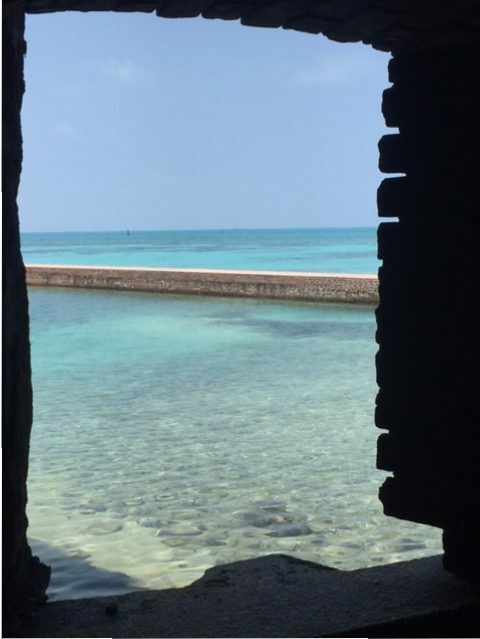 The view from one of the observation points from inside the fort. 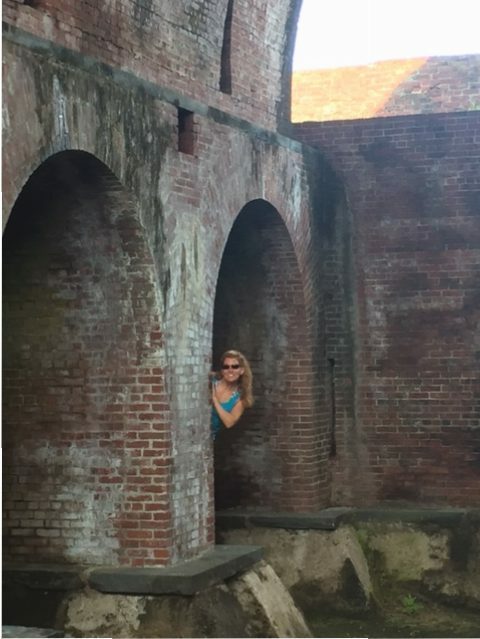 Kim popping out in the powder magazine (gunpowder storage bunker)…. 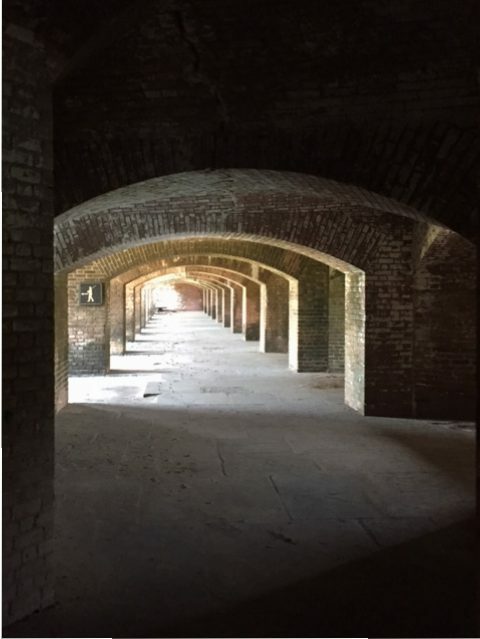 These passages were used for communications between the different gun batteries in the fort. 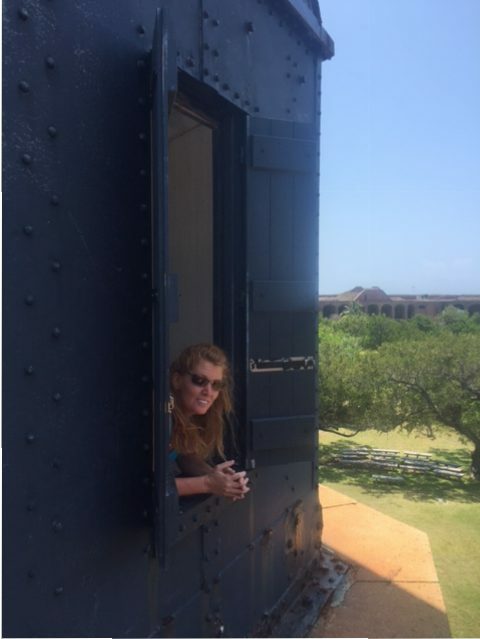 The “hot shot furnace”…..This is where the projectiles (cannonballs) were forged….it s a pretty cool design where the metal was poured in at the high end and it rolled down a chute to shape the cannonball. Kim popping out again….this time from the lighthouse …. 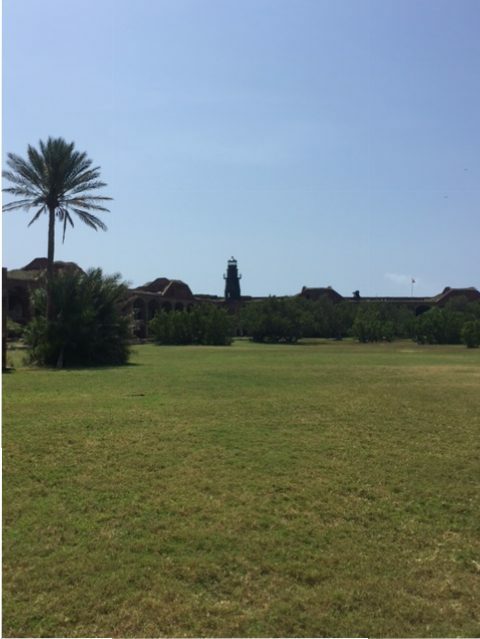 Posted on June 17, 2016 June 17, 2016 Categories About us, Experiences, photosLeave a comment on THE DRY TORTUGAS !!!! !